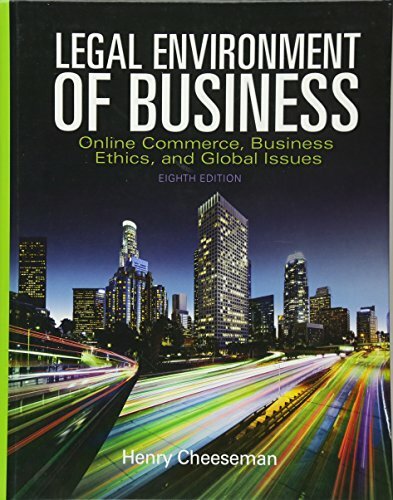 The Legal Environment of Business: Online Commerce, Ethics, and Global Issues examines how the current legal environment, government regulation, and e-commerce environment impact today’s business decisions. The cases in this text are cutting-edge, exciting, and engaging, and the reasoning of each case is presented in the language of the court. The Eighth Edition is updated with all new cases, statutes, and features.